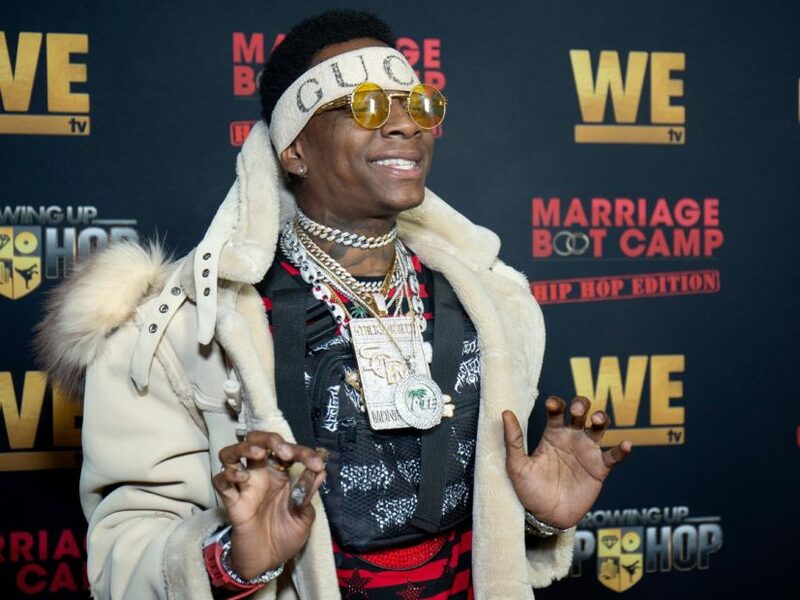 HipHopDX – This week in Hip Hop, Soulja Boy made major headlines after his meme-friendly appearance on The Breakfast Club, which saw him call out Drake for biting his style. Also, Future released his new album The WIZRD and candidly shared his feelings about ex-fianceé Ciara’s marriage to Russell Wilson. Lastly, Joe Budden said he’d take out CyHi The Prynce in a rap battle. #SouljaBoy says he taught #Drake everything he knows ?>> what do you guys think? A debate erupted this week about who had the biggest comeback of 2018: Tyga or Soulja Boy. Soulja Boy is adamant it was him and while that’s certainly debatable, there’s no doubt he’s taken 2019 in a choke hold since his rant. During his appearance on The Breakfast Club, the crew questioned why he feels he had the biggest comeback over Tyga or Meek Mill. Once Charlamagne dropped Drake’s name, Soulja Boy hopped out of his seat to mock the 6 God. Most of his media rounds have been entertaining and meme-able, to say the least. His stop at Complex’s Everyday Struggle and Yams Day appearance at the Barclay’s Center were also heavy topics of discussion. While at Sirius XM, he also got checked by Casanova for disrespecting a woman. That wasn’t all. After Ariana Grande released her new song “7 rings,” a lot of people thought she lifted his “Pretty Boy Swag” for the record’s hook. Soulja has responded by demanding the pop singer to give him credit. Read more about Soulja Boy and his shenanigans here. #THEWIZRD @future OUT NOW ? Future came out with his seventh studio album The WIZRD this week and before its official release, he had a conversation with close friend Big Bank Black on his Beats 1 Freebandz Radio show. They discussed a myriad of subjects, including Future’s estranged relationship with Rocko and his feelings about Ciara’s marriage to Russell Wilson. “He not being a man in that position. He not telling her, ‘Chill out with that on the internet,'” the ATL rap star laments. Though it’s been suggested he doesn’t like Wilson around baby Future, the “Crushed Up” rapper actually appreciates their relationship and likes that Wilson is teaching his son to play football. In an interview with Genius, Future admits he stopped drinking lean a long time ago and admits he was afraid to tell fans he dubbed the habit. The Freebandz Gang boss also got in on the Soulja Boy fun by channeling his TBC interview to clown Kanye West. Listen to Future’s The WIZRD here. CyHi The Prynce challenged Joe Budden to a $500,000 rap battle and Budden says Cy doesn’t want any smoke. He’s also willing to take out any rapper who thinks they have the bars to out rap him. Budden says he will come out of retirement just to end CyHi and demands the $500,000 comes out of Kanye West’s pockets as well as his own. Read more about Budden and CyHi The Prynce here. EPMD, Rakim, The LOX, Brand Nubian, Black Moon and Funk Flex were all on deck for a sold-out show at New York City’s famed Apollo Theater. During EPMD’s set, Parish and Erick Sermon began performing A Tribe Called Quest’s “Scenario” in honor of the late Phife Dawg. Read the full interview with EPMD here. Rhymesayers MC Sa-Roc spoke with DX’s Kyle Eustice about her struggles with self-love and how she overcame them. She also opened up about her 2018 song “Forever” and how she believes social media plays a integral role in people’s self-esteem. Red the full Sa-Roc interview here. New York producer 183rd’s Uptown is a Smoke DZA and Vado collaborative project and reserves the traditional East Coast sound for a mainstream ear. Though the skilled producer considers himself an old school Hip Hop head, he has an appreciation for the new sound of Hip Hop in an exclusive interview with DX’s Riley Wallace. Read 183rd’s full interview here. DX’s Jake Rohn recently caught up with MMG’s Beat Billionaire for a conversation about his partnership with Roc Nation and plans for his new label Billion Dollar Market. “I got my own label now it’s called Billion Dollar Market. I got a distribution deal through Roc Nation, so I got my own artists that I’m putting out,” he shares. Read Beat Billionaire’s full interview here.